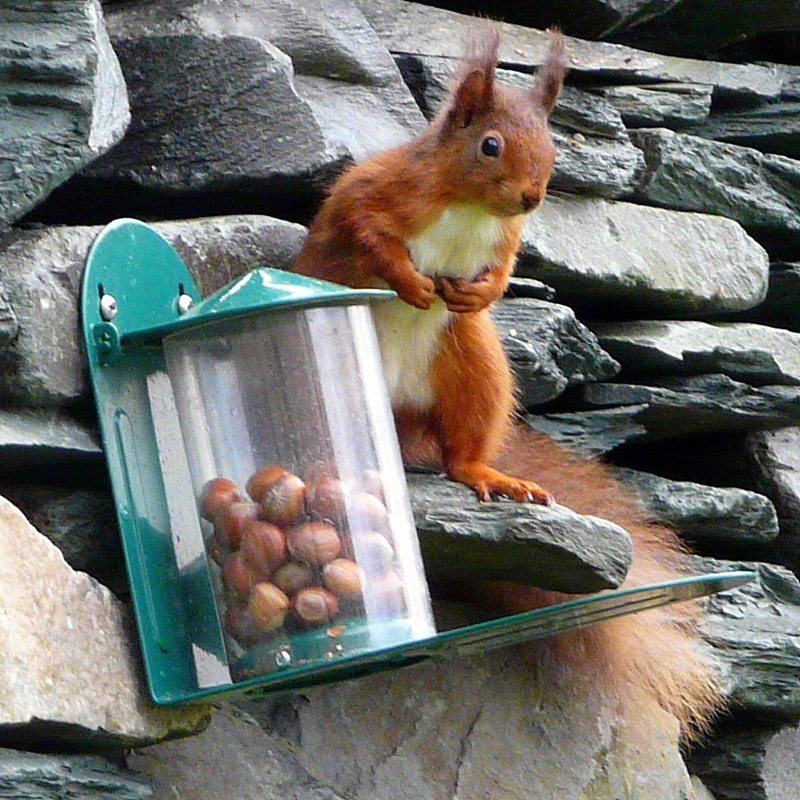 FEEDERS AND THEIR LOCATION ON THE UNDERSCAR ESTATE. 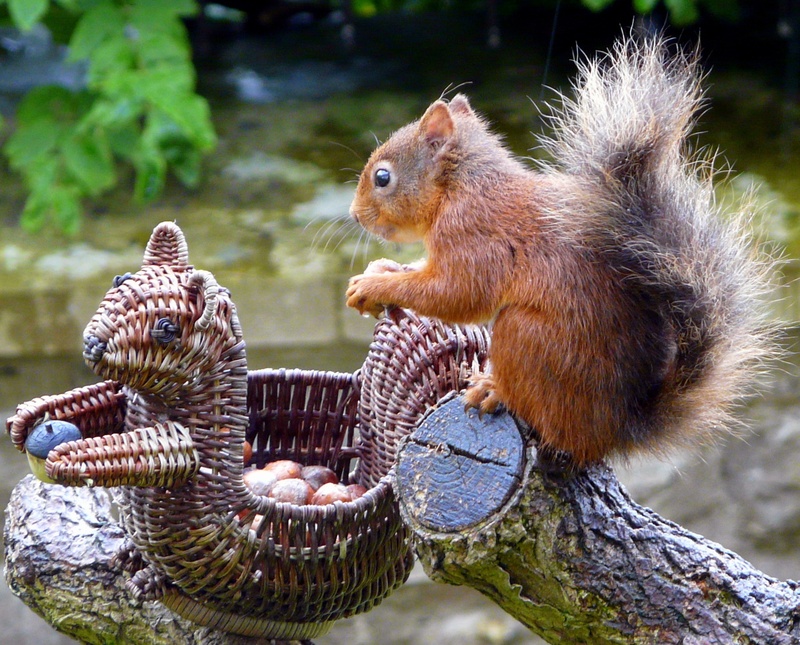 The basket feeder in the shape of a squirrel is a very popular feeding station in the garden in front of 'Derwent' Apartment. 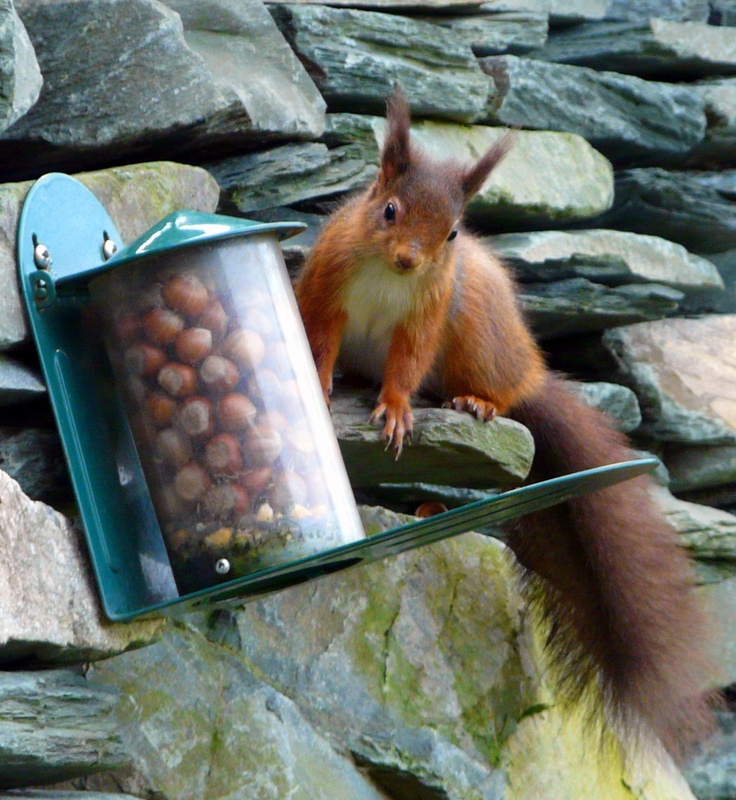 In the summer of 2011 I saw four red squirrels all feeding here within a safe distance of each other! 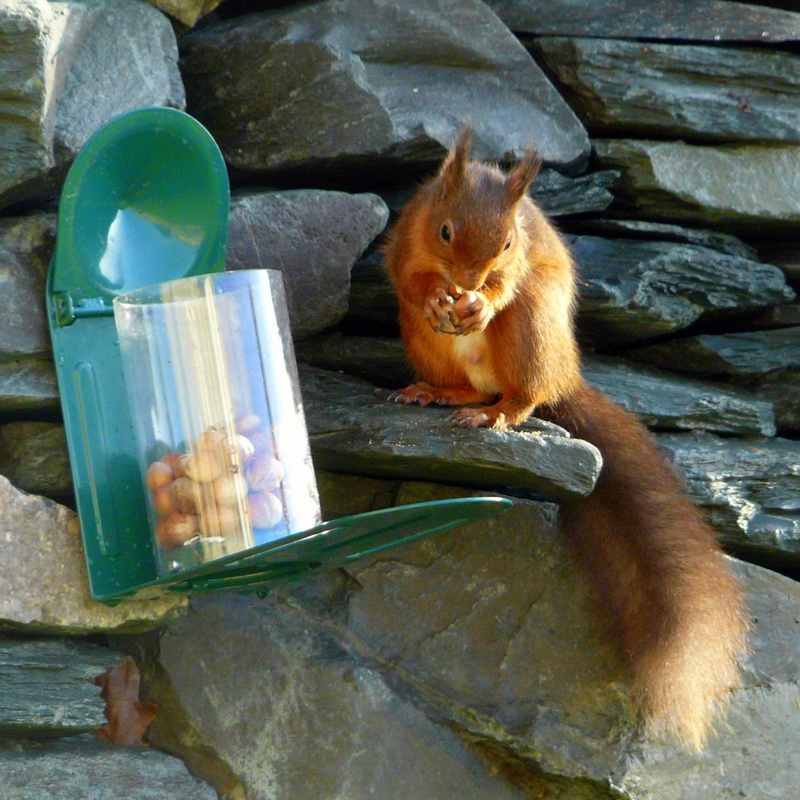 A feeder on the wall outside Castlerigg Apartment is also popular. 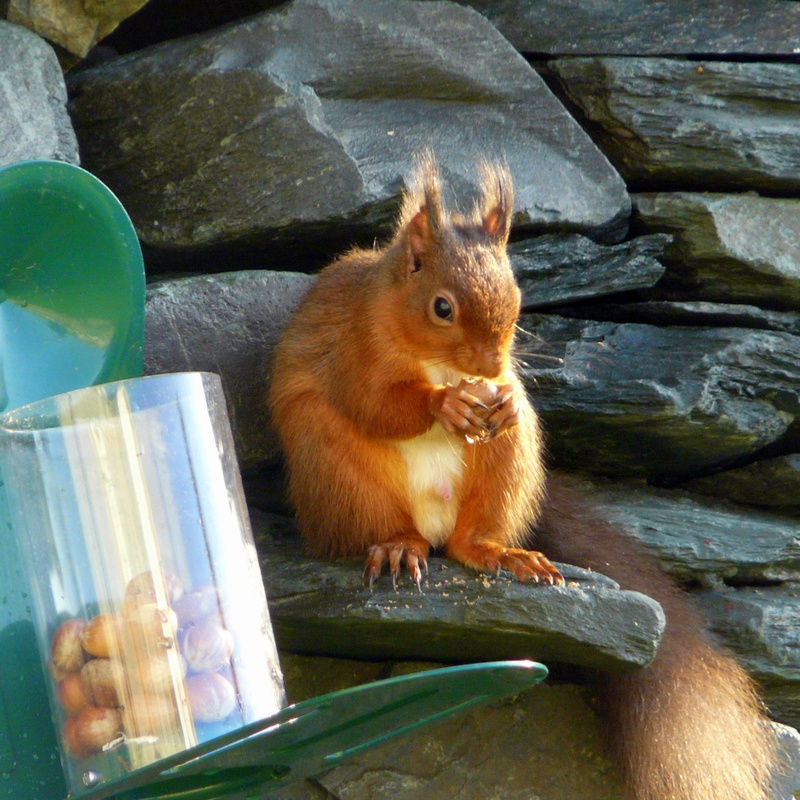 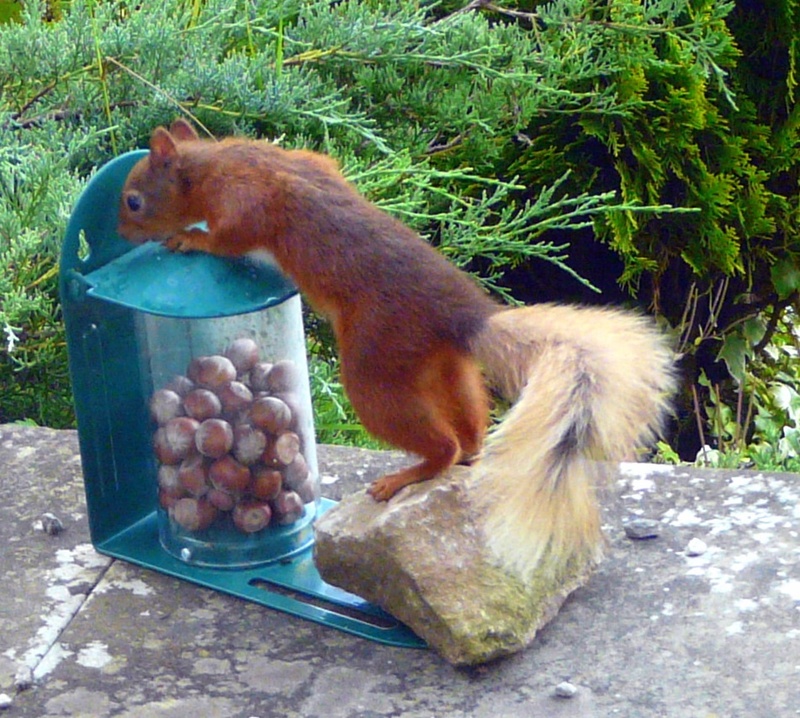 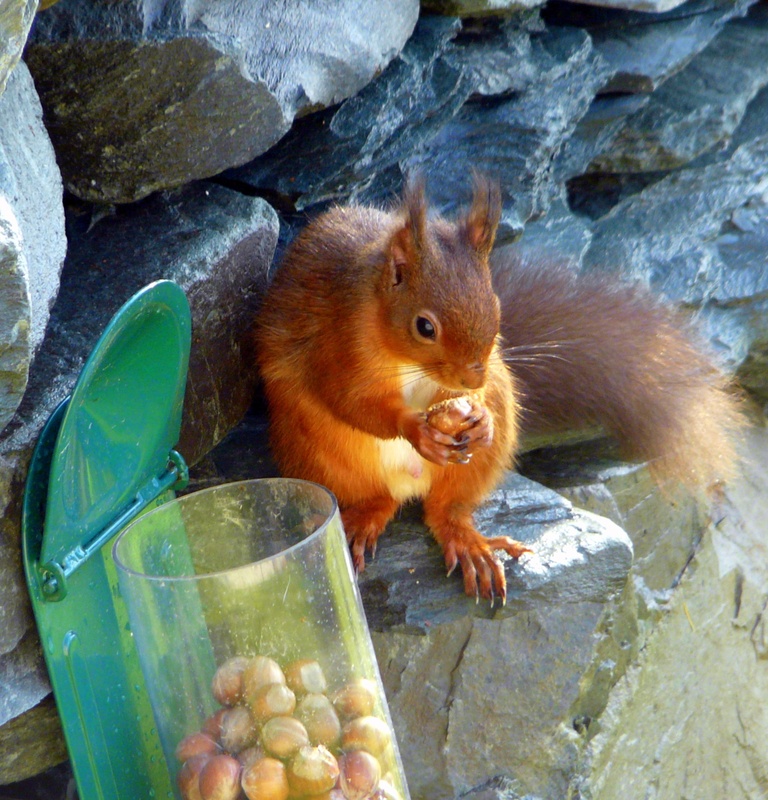 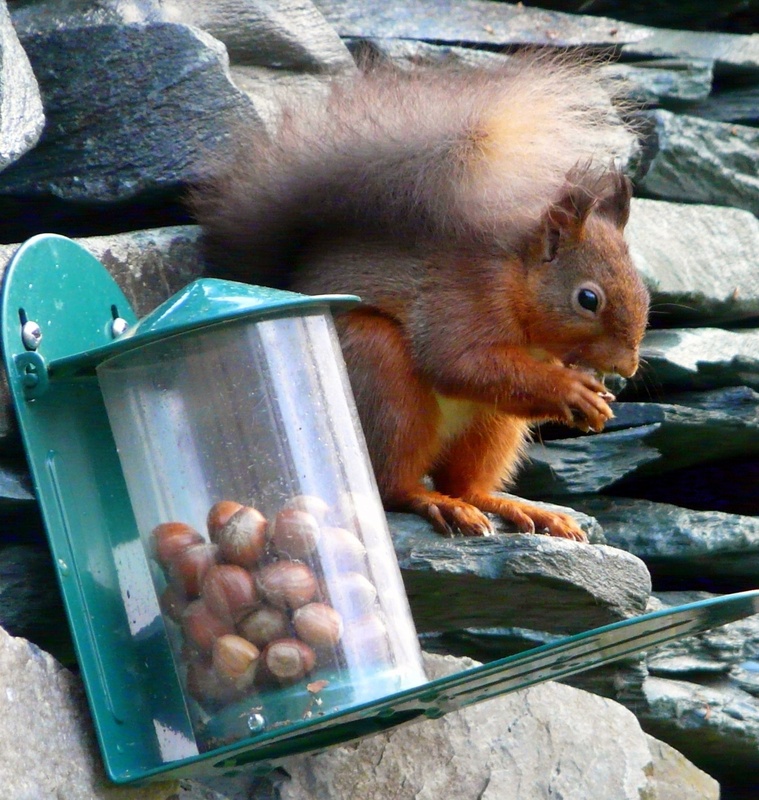 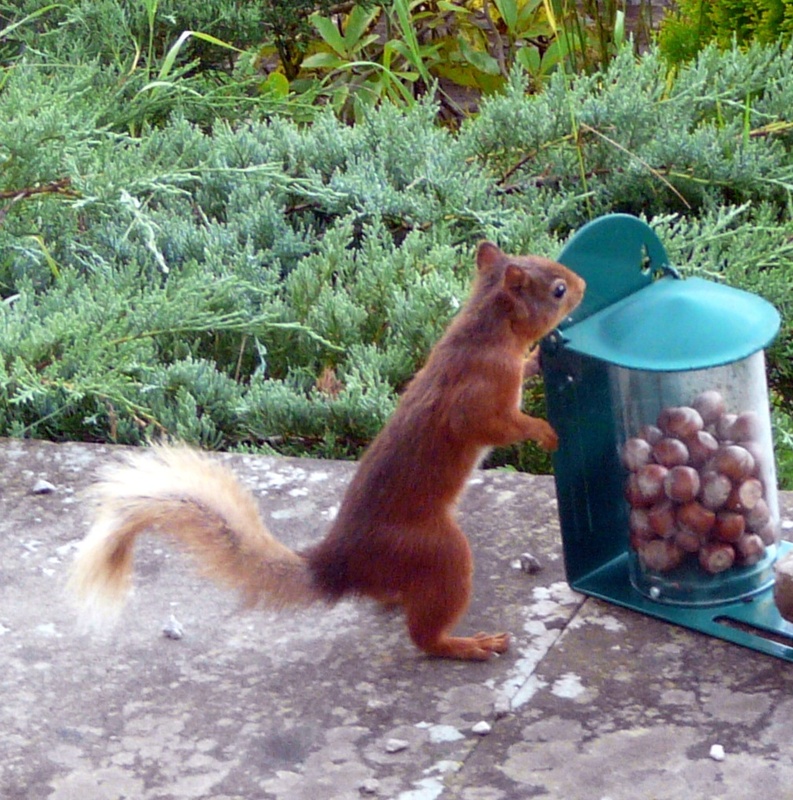 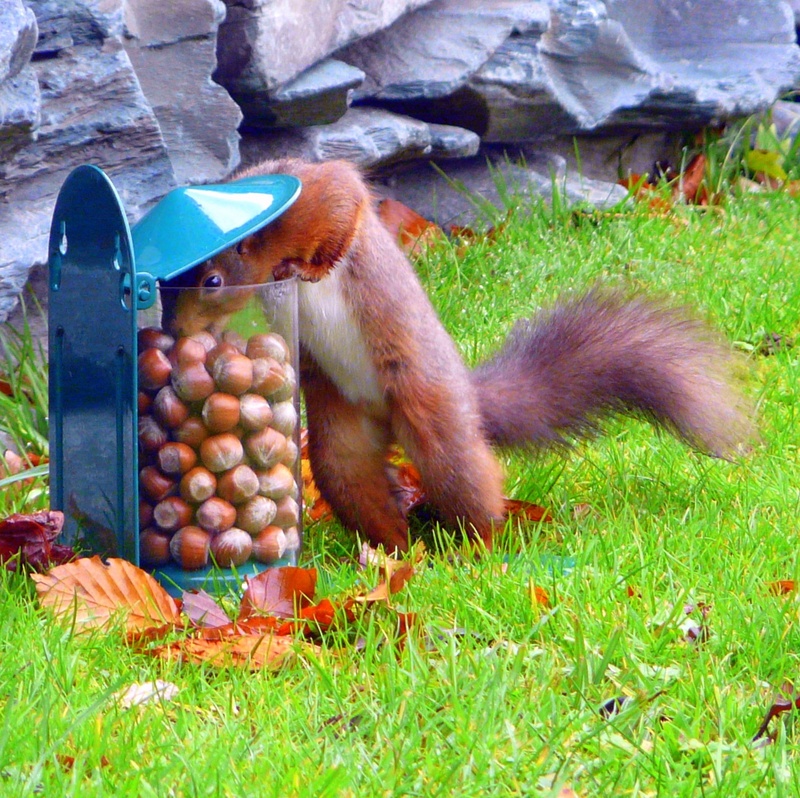 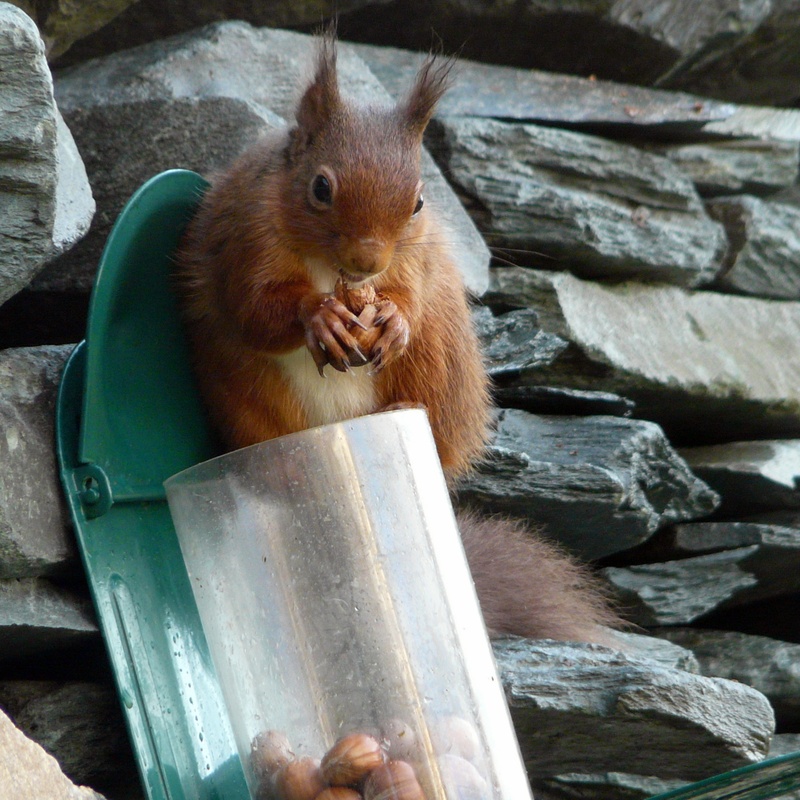 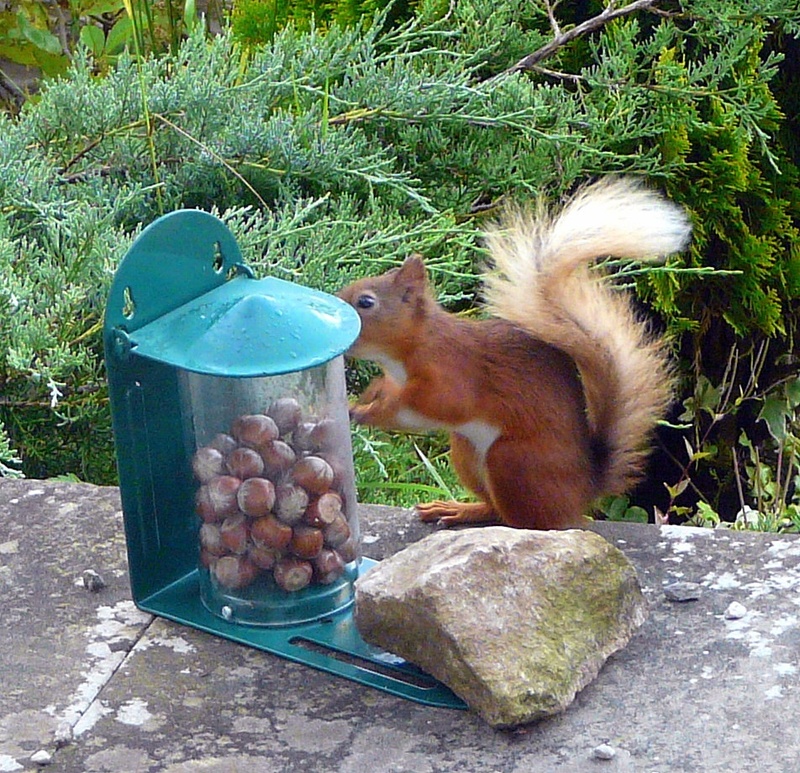 The red squirrels have no problem lifting the lid. 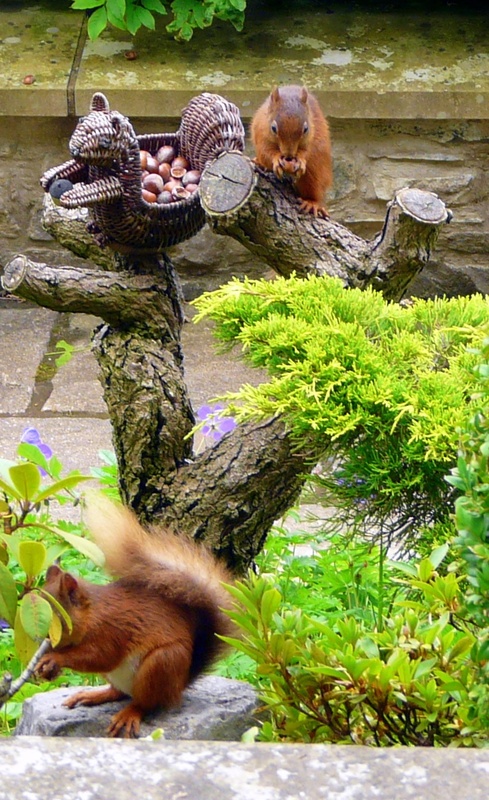 Julian, a member of the Maintenance Team has made wooden feeders, which are also very much appreciated by the reds.